When had write about Up! Warsaw before because we are totally in love. Their products are simply amazing. 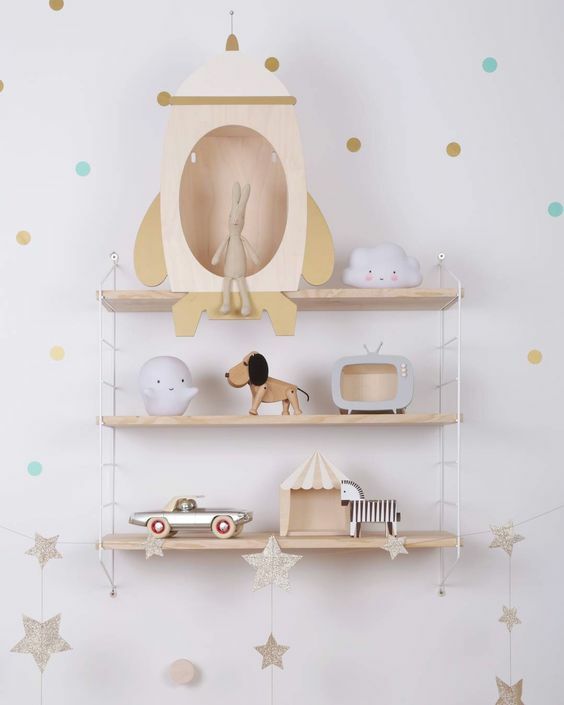 Those funny shelves full of charm, those which use pastel tones and wood. 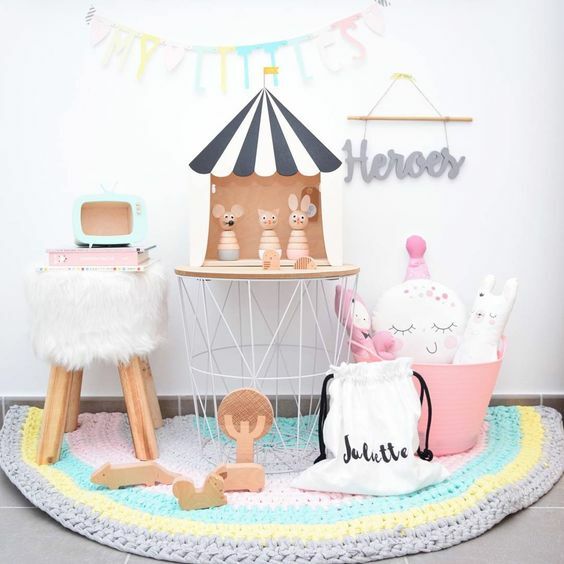 This kind of pieces turns our little ones’ rooms into more comfortable and cosy places, with more personality and natural look. Natural! 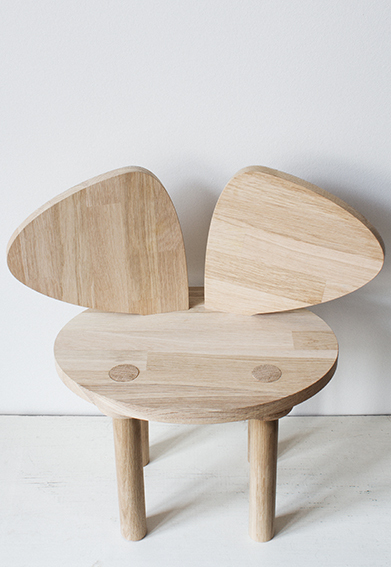 Yes, this brand doesn’t work with plastic, only with materials which are suitable for kids such as natural wood. 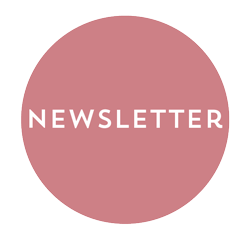 Do you want to know more? 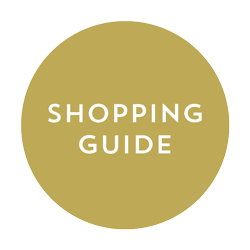 Visit their world filled with lots of unique products. 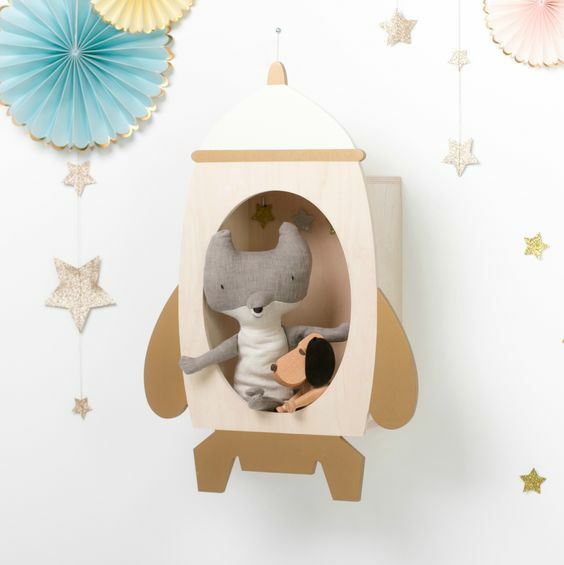 The first product we want to show you is the rocket, Rockin. 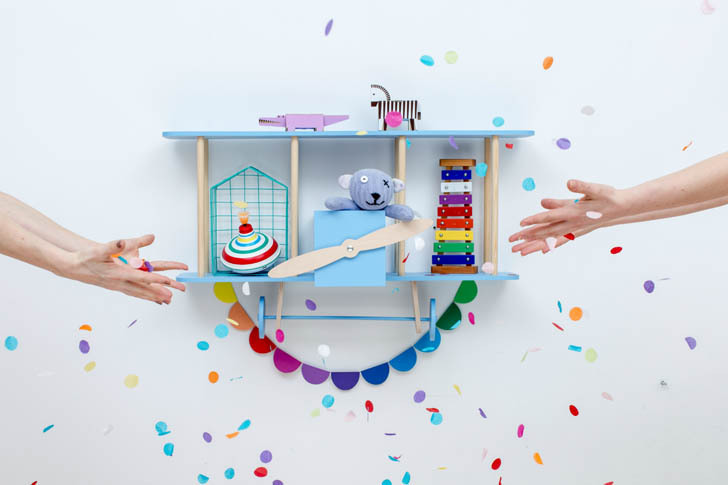 It’s a shelf which, as the rest of their products, can be placed on the wall or on any kind of stable surface such a table or a chest of drawers, even on the floor so kids can play with it as one of the best things of Up! 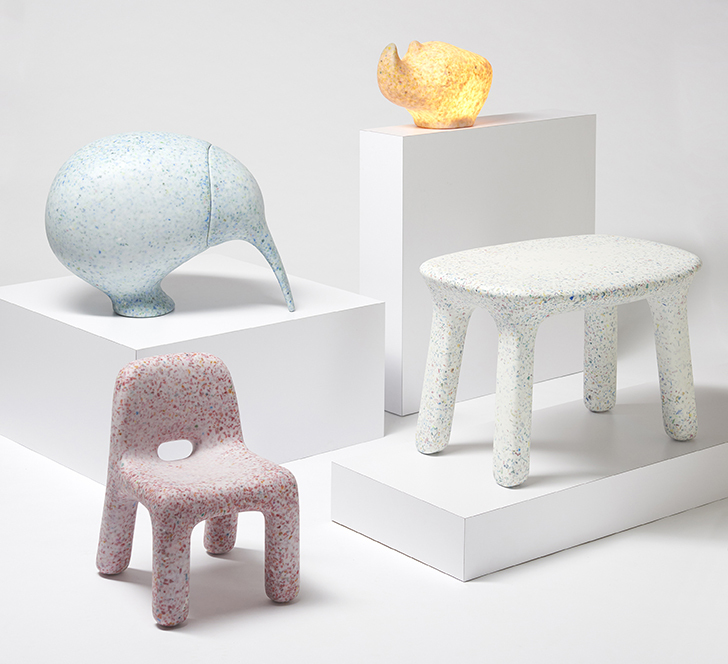 Warsaw is that their decorative pieces can easily be turned into a toy. The technical data explain that it’s made of 10mm birch plywood. The colour is natural and maintenance is simple, you can clean it with any kind of product for wood. Yes, from the rocket we go to the UFO as there are kids who consider that known world is not enough. 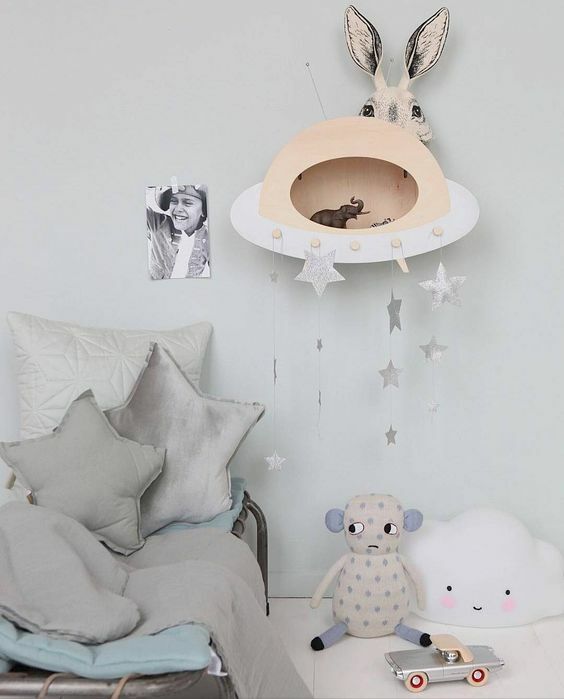 They also dream about other planets and further cultures and civilizations. In this case, we can see another example of a piece which can be placed on the wall, a flat surface and even on the floor. TV is not always linked to positive things. 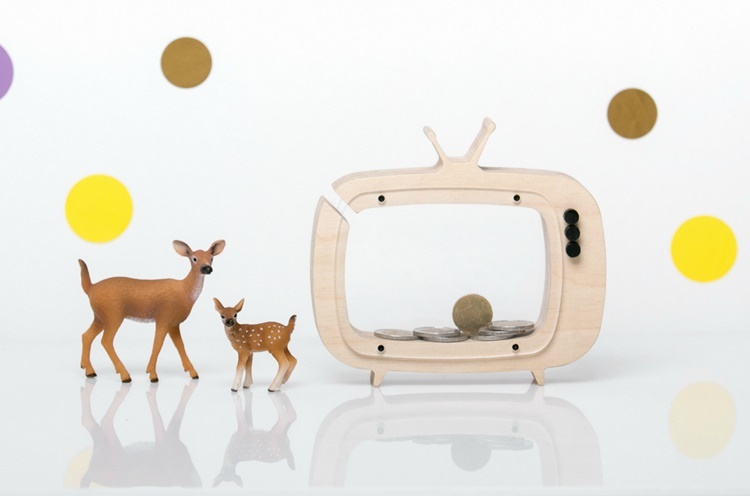 However, we can’t resist this cute television/piggy bank. Yes, it’s a funny way of saving. It’s really cool to be placed on a shelf. Once again, it’s also suitable to play. 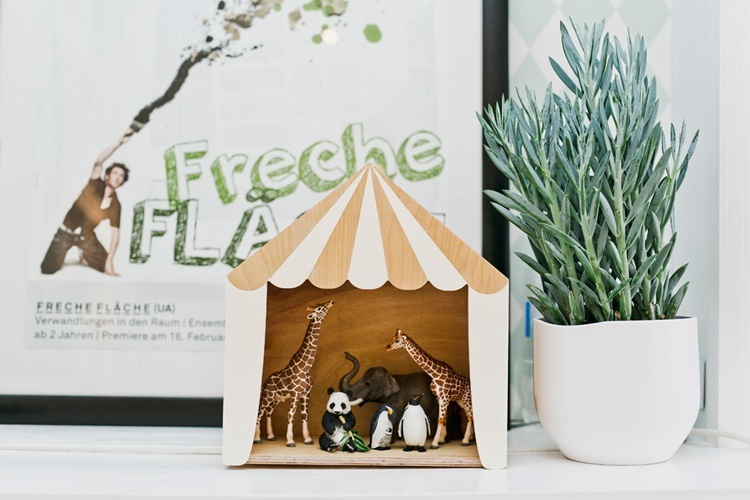 Your kids can create their own programmes by putting their toys inside! There’s also a mini model. In this case, it’s not a piggy bank but the perfect stage to create their own films with their toys. In both cases, there is a huge range of colours. 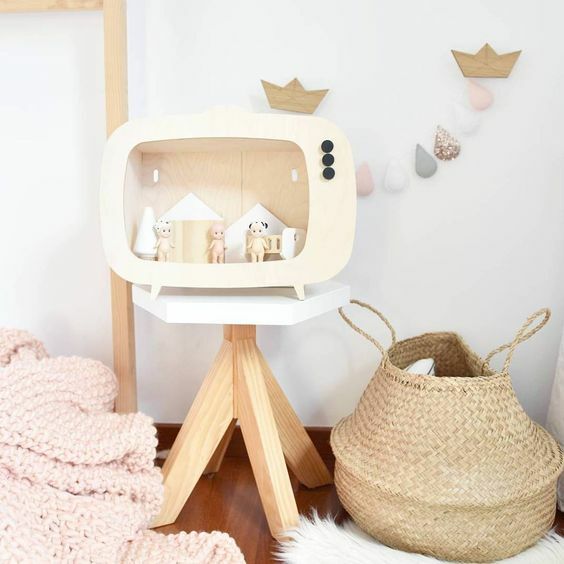 You can get the TV in mint green, black, white, red or any other tone which matches your kids’ room decoration. We think this is one of our favourite pieces. A great circus tent which can be used as a shelf or a toy and other smaller tent. Imagine how much fun can they have by making lions jump there! 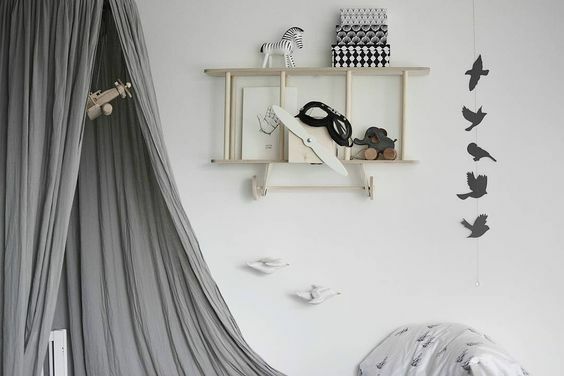 Several colours and eco-friendly materials which make it suitable for every kids’ room. The Dashy biplane is bigger than the rest of products. 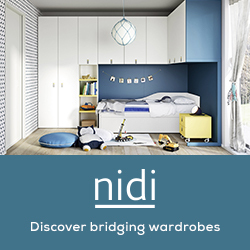 It has a lot of space to keep everything from books or notebooks to a group of toy travellers. The best thing about it? The helix can be moved. 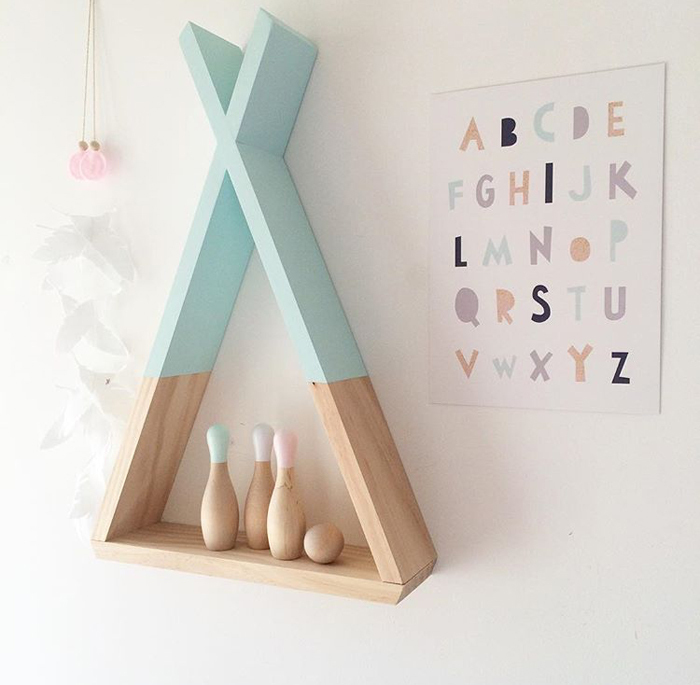 A wonderful detail to get a cute shelf!